When interacting with a Windows system regularly, I like to install Cygwin. 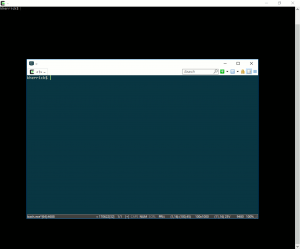 It has been my tool of choice to tie into Bash, or OpenSSH in some fashion, and from there use customized shell scripts for various tasks. With tools like apt-cyg and ConEmu in addition, I feel rather satisfied. Obviously there are a lot of quality tools outside of this ecosystem, but as a base, I’m rarely in search of something else. With that said, I’m very interested in the future of the Windows Subsystem for Linux. Getting info regarding Bash on Windows directly from Microsoft is fun.